Fairfax County Police say two more residents have spotted black bears in this part of the county in recent days. Last Sunday, there was a report of a black bear and a cub in Vienna. 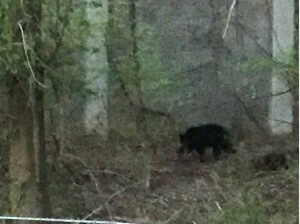 Since then, two small black bears were seen crossing Oakton Road Wednesday morning. That location is near Waples Mill Meadow, Difficult Run Stream Valley Park and Tattersall Park. Additionally, a black bear and cub (or possible yearling) were spotted by a resident in the 2700 block of Bowling Green Drive in Vienna on Thursday morning. The bears were reported to have taken down a birdfeeder and plastic cabinet on the resident’s patio. The bears also took a bag of birdseed from the cabinet before heading into the wooded easement along Interstate 66. 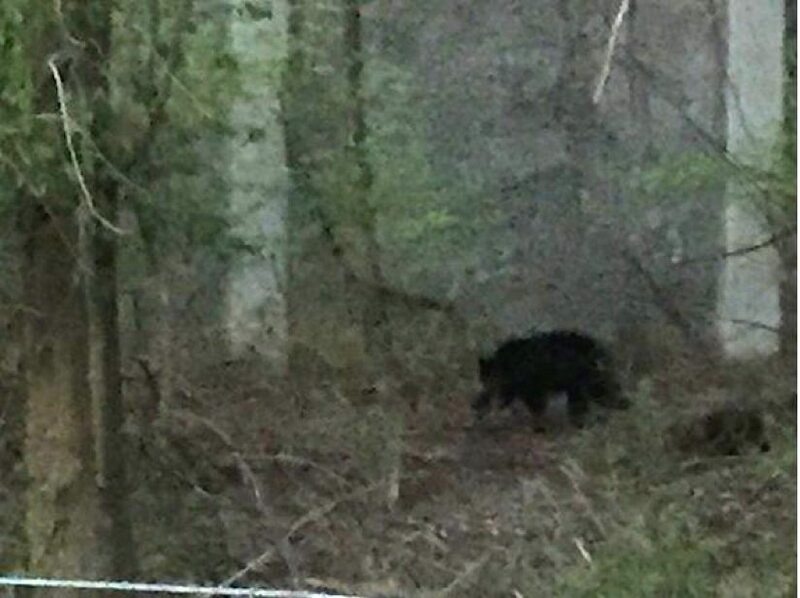 Spotting bears in Northern Virginia often happens between March and May as they emerge from hibernation and search for food, wildlife authorities say. Bears typically avoid humans, but in their search for food it is not uncommon to see one. Residents should not panic or feel alarmed when they see one. Bears are attracted by bird feeders, garbage, outdoor pet food, compost piles, fruit trees, and berry-producing shrubs. If addressed quickly, situations can be resolved almost immediately by removing the food source. A bear may sometimes return searching for food, but after a few failed attempts to find it, will leave the property. Most often, bears will keep moving through an area once they fail in their attempts to find food. The best way to encourage the bear not to return is to remove food sources.